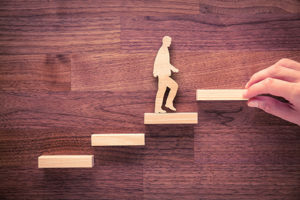 Evercore has promoted two managing directors who focus on secondaries advisory, bringing the total number of partners within the investment bank’s private capital advisory group to three. Jarrett Vitulli and Rodney Reid were promoted at the end of January, according to a spokesman for the firm. Vitulli, a real estate specialist, joined Evercore in 2015 from Landmark Partners and had spent eight years with UBS in secondaries advisory. Reid has been with Evercore since 2014 and was head of EMEA secondaries advisory at UBS. The promotions within the private capital advisory group, which is led by global head Nigel Dawn, were part of seven partner-level appointments at Evercore. Evercore advised on at least three LP portfolio sales worth north of $500 million last year, including Florida State Board of Administration‘s sale of around $1 billion worth of stakes in the second half, Alaska Permanent Fund‘s $750 million sale in April, and Maryland State Retirement and Pension System‘s roughly $1 billion sale in November. Ardian was the buyer in those three sales. Deal volume last year rose 33 percent to $72 billion amid continued active portfolio management, Evercore noted in its YE 2018 Secondary Market report. LP positions comprised the bulk of volume at 68 percent, compared with 28 percent for GP-led processes and 4 percent for direct deals without a manager.